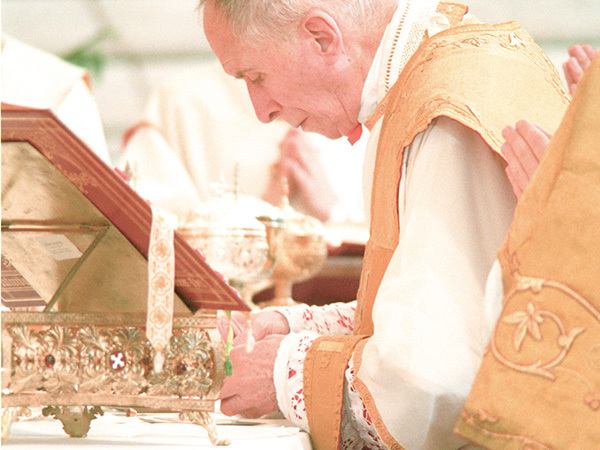 Archbishop Lefebvre did not found his seminary or his Society to oppose the New Mass, but to promote the Catholic priesthood; that is what would lead him to reject the Novus Ordo Missae published by Pope Paul VI in 1969. The New "Order of Mass"
Despite the publication of "A Short Critical Study of the New Order of Mass," signed by Cardinals Ottaviani and Bacci, Archbishop Lefebvre realized that nothing could prevent it from going into force. He observed the bishops’ reactions and also those of the Protestants: a pastor in Alsace declared that he was even inclined to celebrate the Lord’s Supper with the Novus Ordo Missae: “Theologically, it is possible,” he said. "We are keeping the old Mass"
Marcel Lefebvre had to make a practical decision. He assembled his seminarians on November 26 and almost timidly asked them: “We are keeping the old Mass, right?” He said no more about it. They all understood what was at stake in the question. And they all agreed with a nod. They unanimously rejected the codification of the liturgical reform, the experimental stages of which had caused them pain and suffering in their parishes for years. Even though the archbishop did not yet take a public stance, that day, November 26, 1969, is an important date in Church history: by his discreet but resolute “no”, this one bishop virtually cancelled out the reform of the Mass. This “no” was an eminently counter-revolutionary act; it broke the apparent consensus imposed from above by Paul VI and his secretary, Annibale Bugnini. His friend Bishop de Castro Mayer wrote to him that he was presenting the same resolution to his clergy in Campos, Brazil. They would be the only two bishops to stand up against that undertaking. To their everlasting credit! the tendency to deemphasize the sacrificial and propitiatory nature of the Mass. Therefore this was no sentimental nostalgia for an outdated liturgy, but rather a battle for three truths of the Catholic Faith defined by the Church. Furthermore, the new rite, created artificially by Paul VI, is not the heir to a living, continuous tradition. On the contrary, St. Pius V, in the bull Quo primum dated June 12, 1570, imposing his Missale Romanum on the whole Latin Rite Church, only amended according to the best sources and codified the Roman Missal that was still in force in Rome, which went back to St. Gregory the Great, the pope who reigned from 590 to 604, and, through him, to apostolic times. The archbishop explained that, given the antiquity, the continual usage, the power, the doctrinal assurance, the holiness and the fruits of that rite, the act of St. Pius V had the force of a canonization: this Mass would always edify the Church, and no one would ever be able to forbid it, not even a pope. Paul VI was able to create another rite, but he did not have the power to abolish the traditional rite. I knew very well that a traditional seminary and our refusal to adopt the Novus Ordo would cause me difficulties with Rome, and I would have preferred to die than to have to oppose a pope,” Archbishop Lefebvre said in 1974. 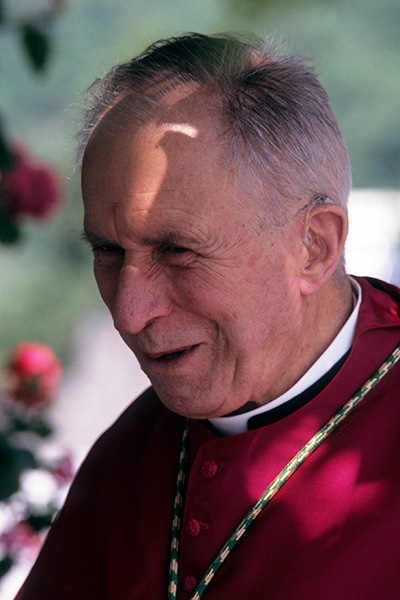 Although Archbishop Lefebvre had to resist Pope Paul VI, who was unjustly trying to suppress the traditional rite, he was still obliged to denounce the perniciousness of the New Mass which, by its Protestant tendency, is in itself bad and dangerous to the Faith. The archbishop even expressed doubt about the validity of many Masses celebrated according to the Novus Ordo. 2. Concerning Fr. Annibale Bugnini, Secretary of the Consilium for the implementation of the conciliar Constitution on the Liturgy, see the book A Bugnini, The Reform of the Liturgy, 1948-1975 (Liturgical Press, 1990). 3. Except for the Latin Rites that St. Pius V honors and confirms by his bull because of their antiquity, the Ambrosian, Mozarabic, Dominican, Carthusian Rites, etc, which are actually variations of the Roman Rite. 4. The prohibition against ever forbidding the Mass that he codifies appears in the form of a perpetual indult that St. Pius V includes in his bull Quo primum. 5. Concerning the dubious validity of many Masses celebrated according to the new Ordo, see the “Short Critical Study,” note 29, approved by Archbishop Lefebvre; Archbishop Lefebvre, “Luther’s Mass”, a conference given in Florence on February 15, 1975, in Marcel Lefebvre: A Bishop Speaks (Angelus Press, 1991): “From the evangelical Mass of Luther to the Novus Ordo Missae”, FT285-286; Tissier de Mallerais, op. cit., p. 463. "We must be attached with all our heart and soul to the holy sacrifice of the Mass because it is in the Mass that we shall truly discover what the love of God has done for us. For if there is a testimony of God's love for us, it is indeed Our Lord Jesus Christ on the cross. What more could Our Lord have done than to immolate Himself on the cross to redeem us from our sins?"